La Union is now one of the most sought-after tourist destinations up North. With its neophyte status as a tourist drawer, La Union never fails to deliver – there is always something new you would want to see and experience yourself. La Union, from its direct Spanish translation, “The Union,” is situated between Pangasinan (south) and Ilocos Sur (North), linking both provinces now comprising the Ilocos Region. Its still-to-be-discovered charm cannot be denied, whether from its warm people, pristine beaches, and cool and interesting places you should see and experience yourself. 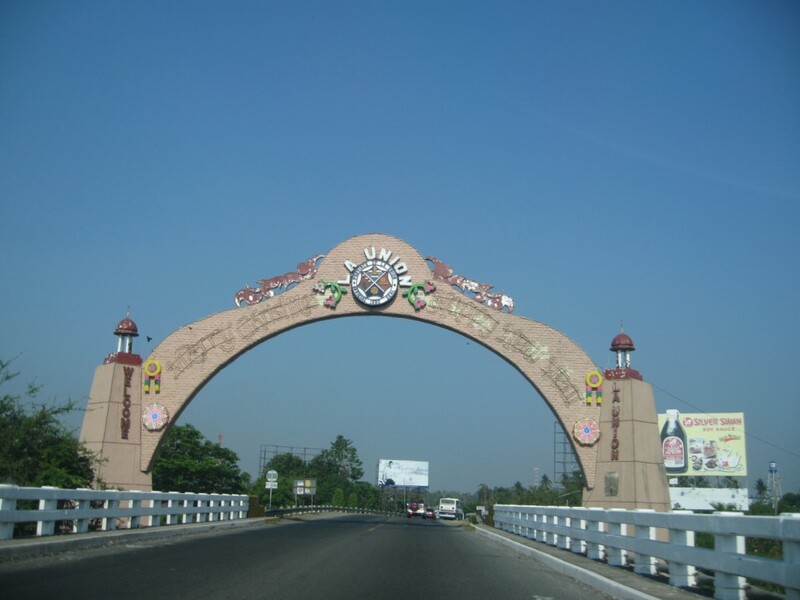 The province is approximately 1 – 2 hours away from Baguio City and is 6 – 7 hours from Metro Manila. Its capital, San Fernando City, is where you’ll find La Union’s diverse history, making its locals prouder in promoting their province. It is also where you will find the birthplace of surfing in Northern Luzon – in the municipality of San Juan, where an annual Surf Break is being held to attract more tourists and to promote the place as the Surfing Capital of the North. Since it is only an hour and a half away from Baguio, and I really want to see the beach, I decided to go here because the place never gets old. Our unplanned itinerary included some places in Bauang, San Fernando, San Juan, and Luna. In our original plan, we should have also visited a now-famous waterfall in San Gabriel and Naguilian (but time did not permit.) I will also be including some tourist spots with no entrance fees, but we haven’t gone to due to time constraint. I will be itemizing the places we went to with corresponding expenses for your reference. Travel expenses from Baguio to La Union, and vice versa is excluded from the challenge. To start off the challenge together with my friend Rick, we first ate at a “-silog” food stall just along the intersection at the National Highway after going down in Bauang. The food stall is conspicuous as it is just along the highway. Food is cheap, like that of typical karinderyas Filipinos usually go to, especially if you’re on a tight budget. The place is spacious and the food choice is quite diverse. 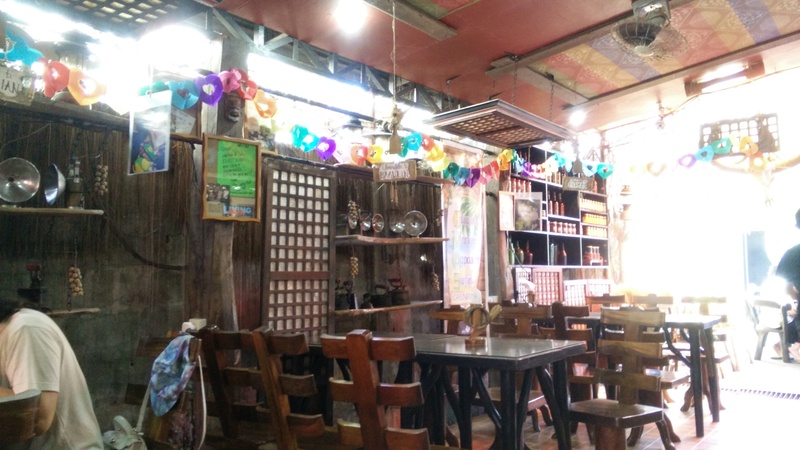 The place is good to go especially for to-go travellers or just regular casual diners wanting to have that ‘silog’ meal perfect for breakfast. Because we really did not plan for an itinerary, we decided to go to the famous Gapuz Grapes Farm in the Bauang – Caba Boundary. The whole farm is joined by two other farms (collectively known as the Gapuz-Ancheta-Salino Grapes Farm) making the place very cool to see, and upon entering the vicinity, you will begin to see grapes and dragonfruit plantations all around. Ask the locals where the Gapuz Grapes Farm is located. Also ask the driver to stop you over a Car Shop / ‘talyer’ near the Bauang Welcome Arc (Barangay Urayong in the Caba-Bauang Border Arc, look for “Talyer ni Dumo”). From there, there is a road strip leading to the farms. There is a signage leading there so you will not get lost. According to the Farm’s owner, Miss Danica Gapuz, the best time to go to the farms is during summer time (March – May) because the farm will also be slating various activities aside from grape picking. Check their Facebook Page to be updated about their activities this summer! Unfortunately, when we went there, the grapes are still starting to grow and recover because of the devastation caused by typhoon Lando and other succeeding typhoons last year. So the caretaker suggested us to come back on March or April because it really is the best time to pick grapes in the farm. There was no entrance fee during our visit because it was not picking season. But during the picking season, the farm mandates everyone visiting to pick at least a minimum of 1 Kilogram of grapes for P 250.00. Separate fees apply to other activities slated by the farm owners. After taking some pictures at the farm, we waited for a provincial bus plying to the north. We luckily rode a bus going to Vigan and asked the driver to drop us at the San Fernando Central Business District. 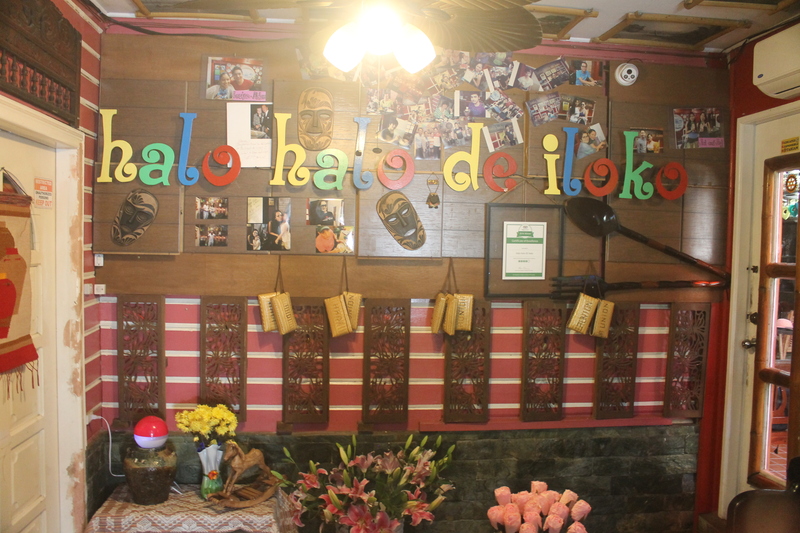 We then decided to have lunch first at Halo Halo de Iloko Balay and have some refreshments as well. When I first went here in 2012, the restaurant only served various variations of Halo Halo. And when we came back this year, they have diversified their menu and added meals too to meet the demands of their growing market. One more interesting thing about the restaurant is that they now accept reservations for diners at a prior date in order for them to prepare food better, especially to large groups, or to the media who want to cover the restaurant. The other thing I also noticed is that their tables are named after the municipalities of La Union. In our case, we were at the “Lamisaan ti Caba” (Caba Table, the municipality after Bauang; “lamisaan” means “table” in Ilokano). Also interesting enough is that they framed memorabilia of some famous people’s messages and dedications who visited the restaurant and displayed it all around the place – making it an additional attraction. We experienced something new compared to our first visit in 2012. The food never gets old and they still practice what they do even when we have visited it a long time ago. It really is one of the places you should never miss. Magpasarap ka muna! 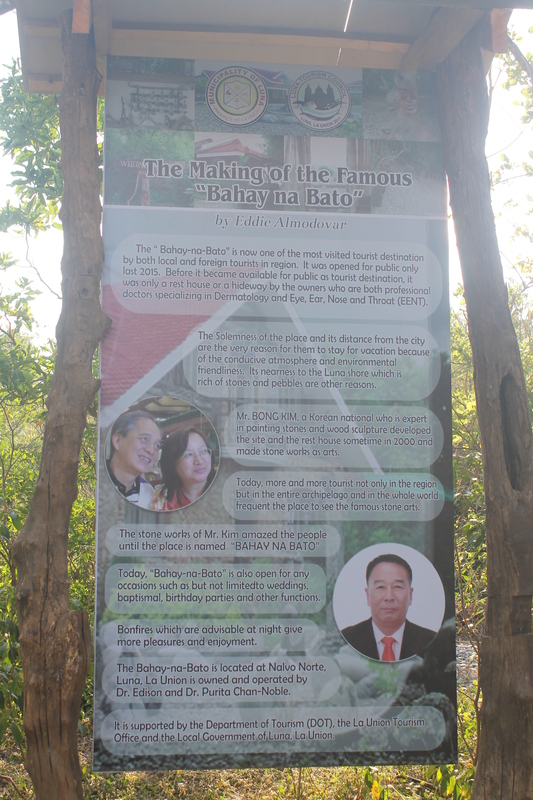 After having lunch, we decided to go to Bahay na Bato (Stone House) in Luna. The trip is about 1 hour long as it will pass through different Barangays in San Juan, Bacnotan, and Balaoan. Just tell the driver to drop you off to Bahay na Bato. There is also a big signage there leading to the place so you will not get lost. You will just have to walk for 5-10 minutes to reach the main entrance. Unfortunately, too, although the place is open for visitors, the house itself was closed to the public because it was used as a reception for a wedding that day. (So we have a reason to come back and update this post as soon as possible!) 🙂 So we just took pictures around the house’s vicinity. 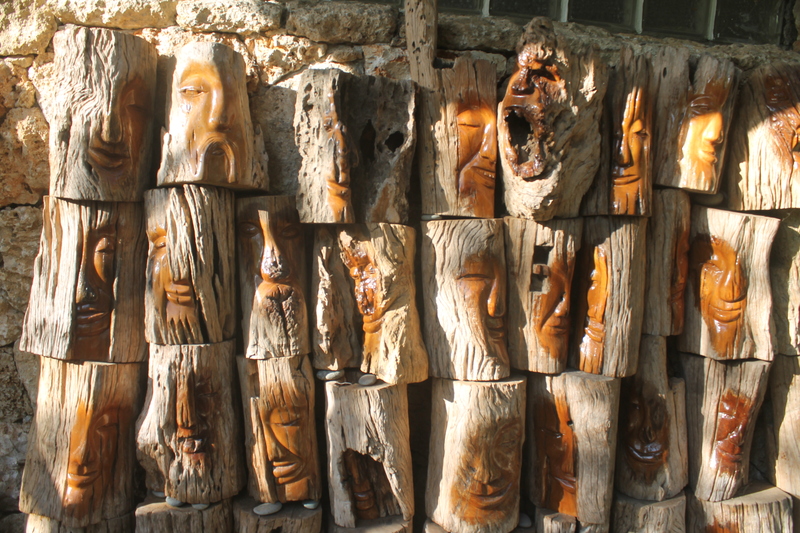 As we roamed around, we found several stone art and wood carvings making the place more interesting. The house is also located on beach front but swimming is strictly prohibited for visitors. For visitors who use public transport, there are readily available tricycles for hire to get you to your next destination of choice. Famous for its Surf Break events during summer, the municipality of San Juan became a rock star destination for beach lovers and surf addicts alike. Dubbed as the “Surfing Capital of the North,” San Juan immediately rose to popularity making it one of the major hubs for surfing north of Manila. 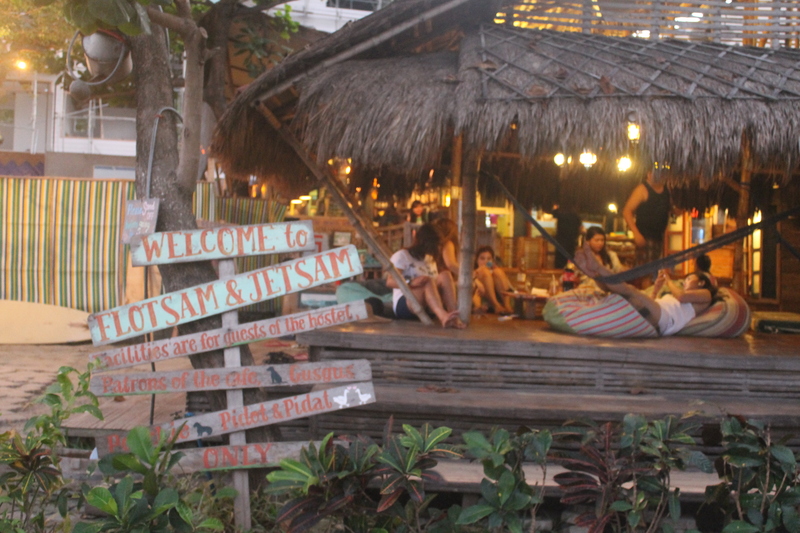 One of the more popular hostels in the area is the Flotsam and Jetsam Artist Beach Hostel. As it was recently featured in an indie film, many tourists ply the area even before it was highly commercialized. Welcome to Flotsam and Jetsam! One of the features I noticed in the hostel is that the atmosphere is very, very laid back. Bean bags with small tables are scattered within the vicinity and it serves as dining area for stay-in and walk-in guests. It also has two small shacks / thatches for additional space for guests who want a shaded eating place. The place is also artsy as it displays various artworks within the area. Not to mention, the staff are also cool and very friendly! Yes! The food is pricey, though, but you will definitely get your money’s worth. The food is delicious and their menu has many options as well. La Union can be visited in less than P 1000.00! Yes! But not all tourist spots can be visited in one day. You need at least two days to maximize your LU experience. It is a plus if you know someone who is a local of LU and ask if you could spend the night at their place for this short vacation. It is also an advantage if you have your own car to get to places at your own pace. I also (highly) advise that you invite friends along and go in groups so that you will divide the expenses among yourselves – the more the many-er! In short, visiting La Union is budget friendly! Many places have yet to be discovered in this up-and-coming tourist destination in the North! Been to Elyu several times for surfing but no matter how hard I try, I always end up spending 2k and above :(. Galing mo!! Wow that challenge again. Your post is very helpful and challenging. I never thought I could get that experience with just a thousand peso. Thanks! Keep it up! I really love this series! 🙂 La Union, I’ll be there, pretty soon! I’ve been to La Union three times in my life, and it’s so much fun there! Everytime I go there, I HAVE TO go surfing! It is one of those things you must do while in La Union! I cannot believe you were able to spend less than p1000 there! That is literally the most drastic cost cutting method I have seen! I know people who cannot survive spending less than p1000 or $20-25 USD a day, but I’m glad you’re showing that it can be done, without compromising fun and adventure! Cheers! ugh flotsam jetsam. I just miss the beach already! take me with you chiki! I love this P1000 peso challenges. 🙂 It just shows how far you can go with as little budget as much as possible. I’ve been to La Union but mainly for surfing only. Some of the places you’ve mentioned are new. I love your photos of Bahay na Bato and Flotsam and Jetsam Artist Beach Hostel. Nailed it! A whole day of fun and you only spent less than 1000. 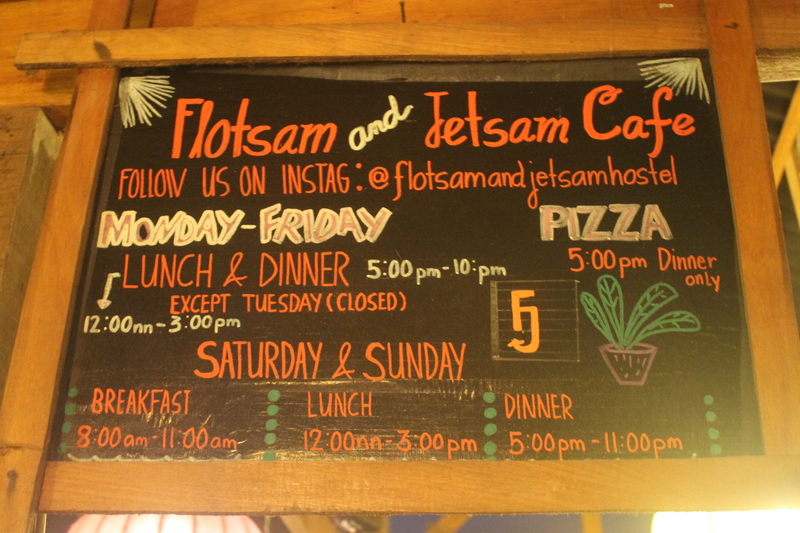 Flotsam & Jetsam cafe is very new to me. Another cafe that needs to be visited. Wow! You visited interesting places with only 1000 in your pocket?! I salute you! I’ve been to La Union twice, and when I come back, I’ll make sure to refer to this post. Thank you!! challenge accepted! spending only 1000php for is inspiring! Nice, now I know what I can afford with a thousand peso! Much fun and a new experience. Also an adventure. The best part its near Baguio. Yes, ate Charm! LU is really budget-friendly especially for budget-conscious travelers! <3 Hihihi! Wow! 1000 pesos challenge to travel somewhere? You’re kidding me? This is amazeballs! Only 1,000 budget but you were able to cover a lot. I say that’s not bad at all. And I’m replicating your itinerary since it obviously works.